The UMYF is a vital and a growing part of our congregation. The youth (grades 6-12) meet most Sunday afternoons or evenings (depending on what is scheduled) for a variety of service and fellowship oriented events led by Pastor Celia. Contact Pastor Celia for more information if you know a youth who wants to get involved! The Youth meet for Sunday School in Mission Hall on Sunday mornings at 9:20. The Lakehills United Methodist Youth Group would like to invite you to an evening of food and fun. We are hosting dinner and movie on November 17, 2018 at 4 pm. Come and join in the fun and fellowship, and bring a friend. 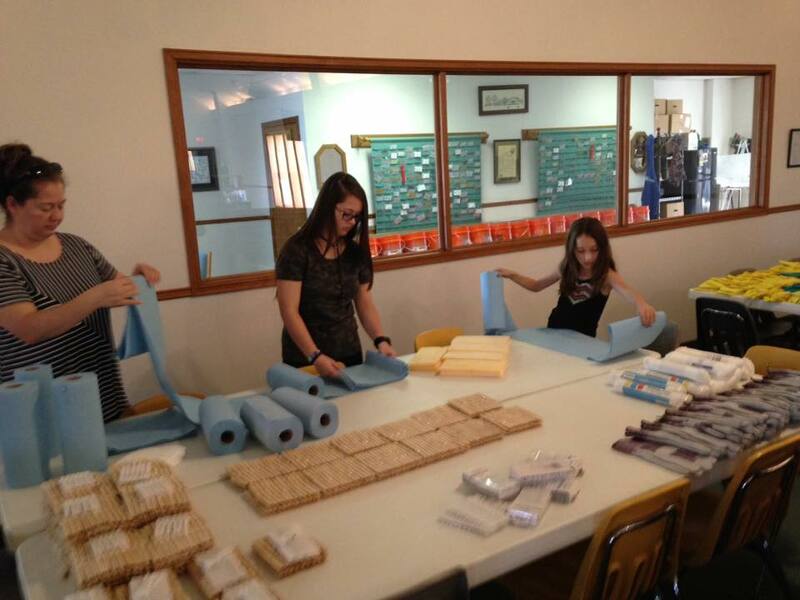 Here are some of our youth preparing UMCOR flood buckets for distribution after the hurricanes in the summer of 2017. For a schedule of events for the youth group for 2017 and 2018, please click here. We would love to have your youth aged children join us. In order for them to do so, we need for both of you (your youth-aged child and you) to sign our covenant of conduct. For them to travel with us to any offsite event, we need you to fill out a medical power of attorney for us, so that we can address a medical need they may have in an emergency. You will find these forms below.